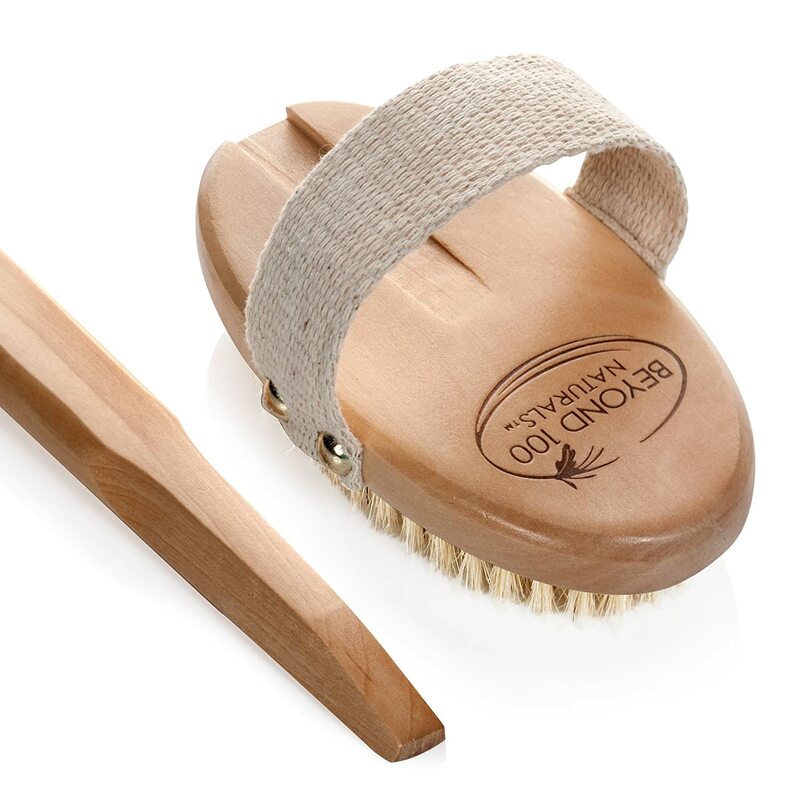 - Use “Dry Skin Brushing” - the Best Kept Secret from the Ancient World to Take Care of the Largest Organ of Your Body. 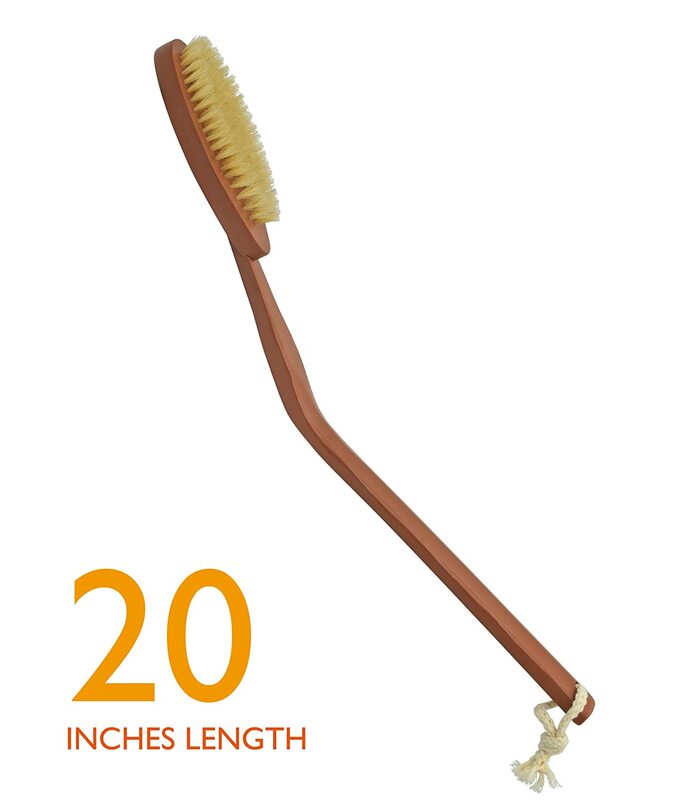 I had never heard of body brushing until I came across this company to order a bamboo hairbrush. 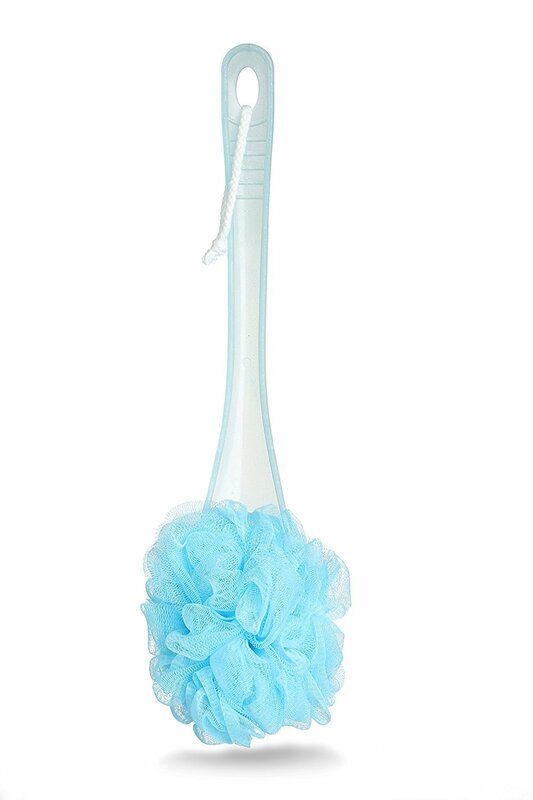 I love the body brush, I couldn't believe how much dry flaky skin came off the first time I used it (ewww)! I have have been using it for quite awhile and I do a quick brushing over my entire body (minus face) each day before taking a shower and follow with a homemade body butter. It also came with a small, gentle bristle face brush and a small, bamboo hairbrush. 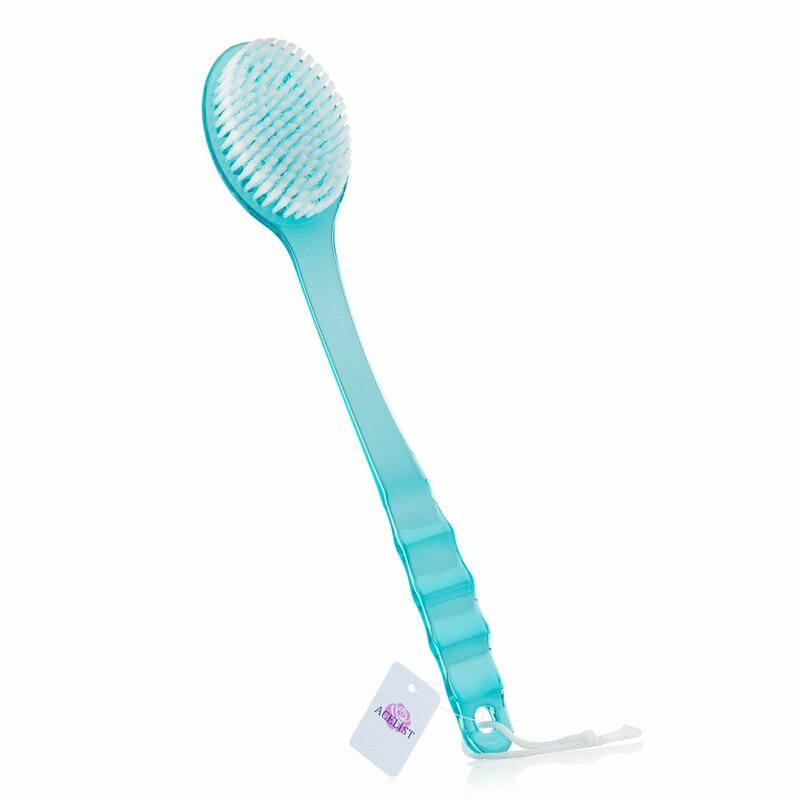 I have only used the face brush a couple of times because my face gets irritated very easily. 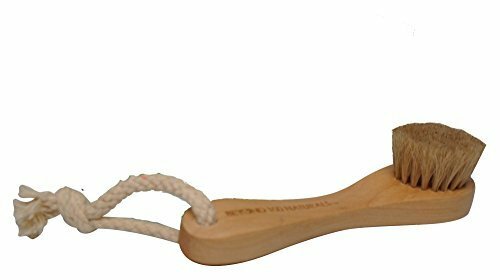 I have a large bamboo hairbrush by the same company so I gave this one to my husband. Brush quality is very good and I love the (removable) handle so that I can brush my back without help. The brush stays secure in handle with no problems. Itu2019s especially nice when your skin feels dry and itchy which mine does regularly. 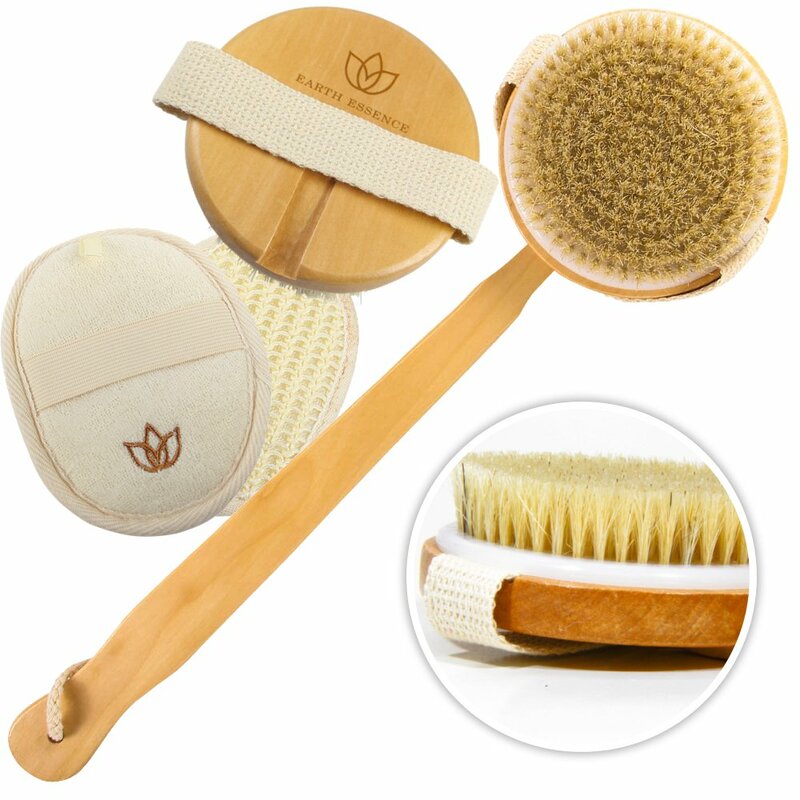 I have found the Beyond 100 Naturals dry brushing set to be a good quality product. My package arrived with the three brushes and extension stick as pictured. While the box is more than strong and sturdy enough I found the packaging to be wanting. 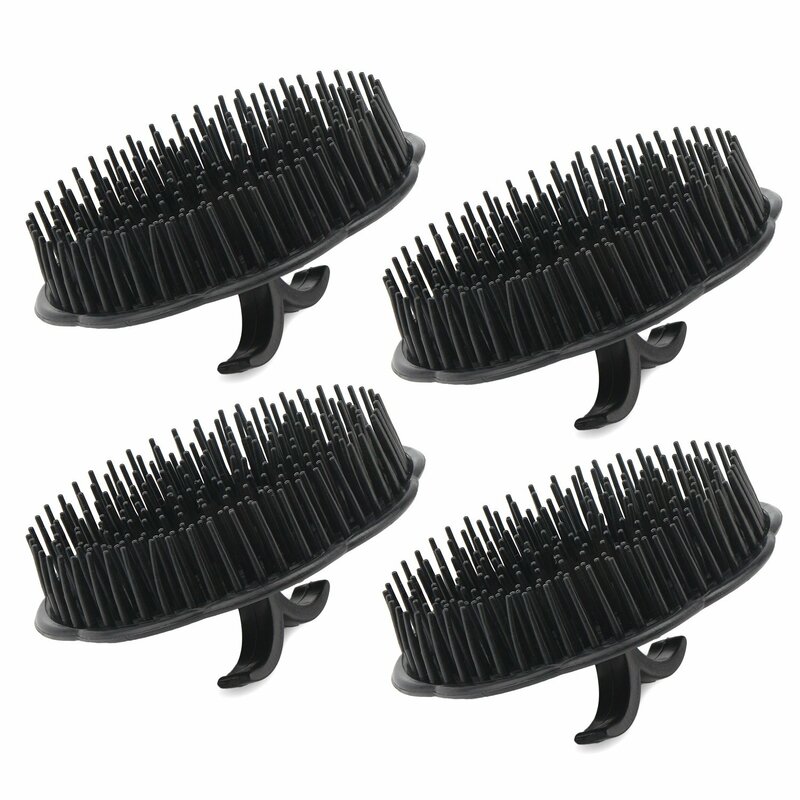 The protective bristle covers, for the body and face brushes, are not firm enough to prevent collapse. This would not be a problem except that there was no packaging inside the box to prevent or limit movement of the brushes during shipment. In my case this resulted in the face brush bristles all being bent to one side. After washing, thoroughly drying, and using for a week the bristles are almost back to the way they should be and it's only been moderately inconvenient to use while still bent. 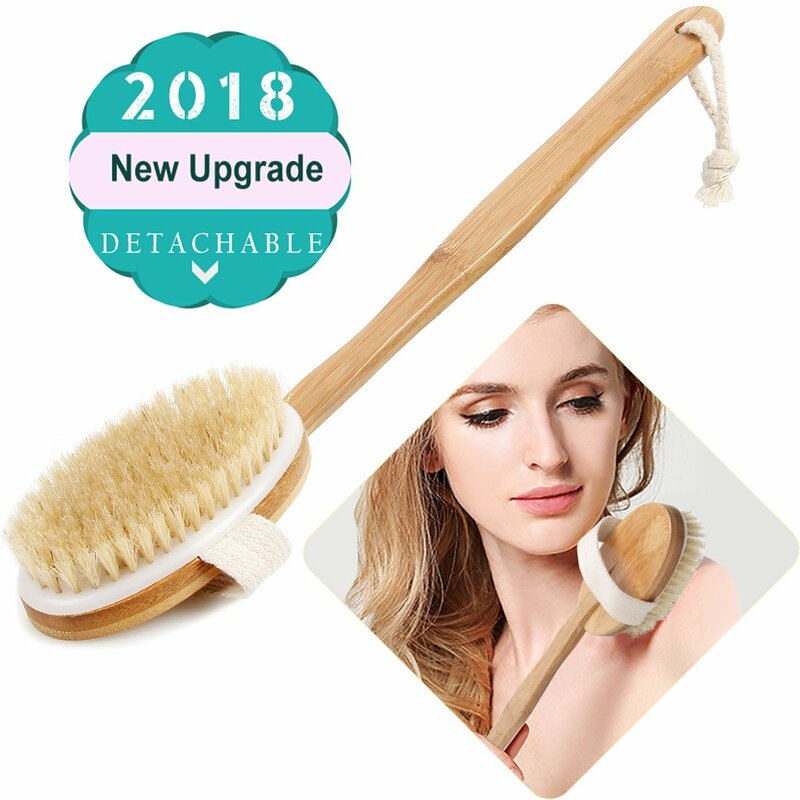 I have not had any problem with the bristles coming out or breaking off and once I put the extension stick on the body brush it has stayed put. I was somewhat disappointed that the hairbrush bristles are not tightly packed and mounted boar bristles because their spacing is perfect for that. However, in answer to my inquiry, I was told the hairbrush bristles are bamboo. I had my doubts as to their effectiveness, beyond being just another hairbrush, but I have to say my hair has improved in such a way that I am having to use less and less product to tame flyaways. Pleasantly surprised but can't say whether this is due to the bamboo bristles or to dry brushing in general. I'd like to see the internal packaging improve but over all I recommend this product and will likely purchase from this vendor again. 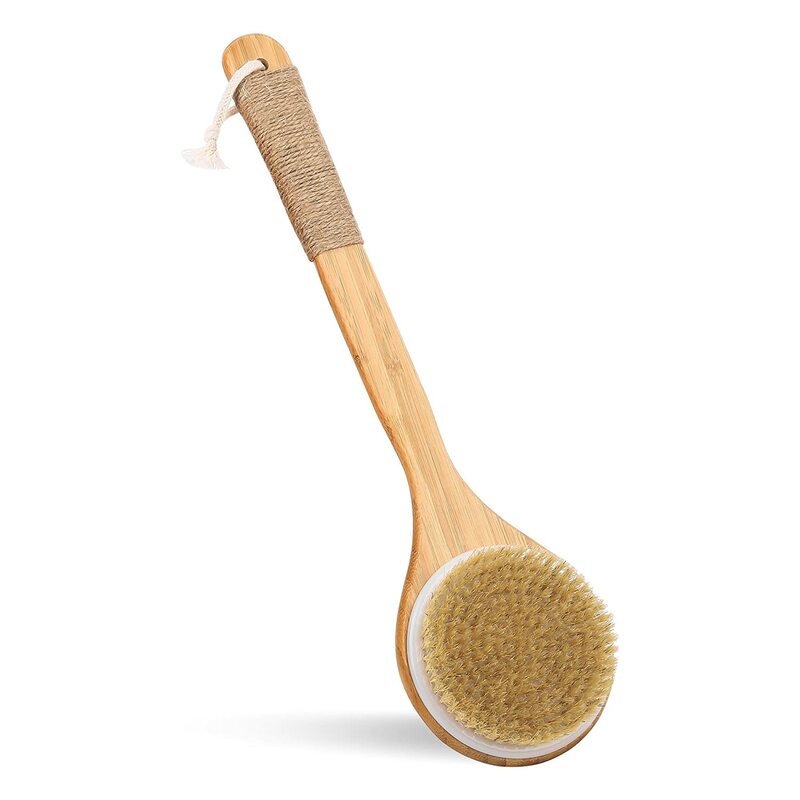 I bought the 100% Natural Bamboo hair brush at first and fell in love with it. 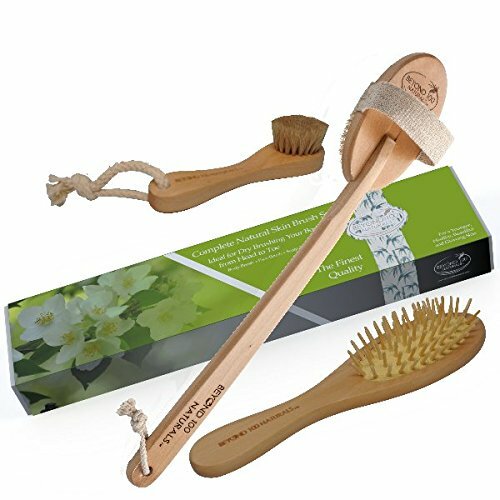 After browsing their website I decided to try the dry body brush, mostly for my feet to improve circulation. It really has helped to remove dry skin all over my body; I dry brush my legs, feet, arms, etc. every couple days before I shower. My boyfriend has even used it a couple times! At first it feels a little rough, but once you get past that it feels very relaxing. I use it on my feet before bed and it has helped reduce feet cramps at night. I received this brush set with a beautiful note that made it all feel very personal. After using all 3 brushes (using the included illustrations as a guide), I had an Epsom salt bath, and my skin felt amazing! My partner also commented on how soft my skin felt. I am very excited to incorporate these brushes into my cleansing routine. I highly recommend them to anyone, including those with sensitive skin, as the brushes seem to be of high quality and are quite soft. The brush with the handle is easy to use. 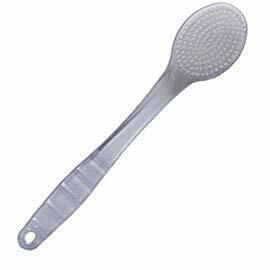 The handle itself very easily slots into the brush and stays in place. I read other reviews on this and did not have a problem at all. Thank you for such a great product!! Love this brush!! Had my first dry brushing at a spa massage, and am so glad I did. Feels great and really revs up circulation. The ones that were being sold at the spa were very expensive...this is less than a 1/3rd of what they were charging and it's excellent quality. I've been using it for a little over a month now and it's holding up great--anticipate that I won't have to replace this anytime soon. If you're looking for a quality brush,this is it! I am SO glad I found this product. I Love it! The hair brush was a bonus - only one I use now. Never had a face brush before. This one is just the right softness and gentle fibers. 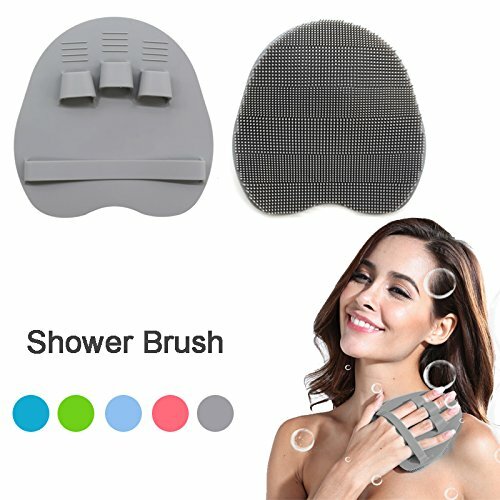 I discovered this product when searching for an all natural Body Brush. I can't recommend this trio enough!